"You're the crème de la crème—what the hell are you afraid of? You're smarter than these guys, they're taking advantage of you, and when the court sees your credentials, their eyes will pop out…You gotta take off your white gloves, ladies, you gotta take off your white gloves." On March 16, 1970, Newsweek published a cover story about the feminist movement titled "Women in Revolt." That same day, nearly fifty female Newsweek employees shocked their bosses—and set the media world on fire—by suing the venerated newsmagazine for gender discrimination. The women's primary grievance: Despite educational and professional accomplishments equal to and sometimes greater than those of their male colleagues, female researchers and reporters were virtually never permitted to become writers or senior editors. 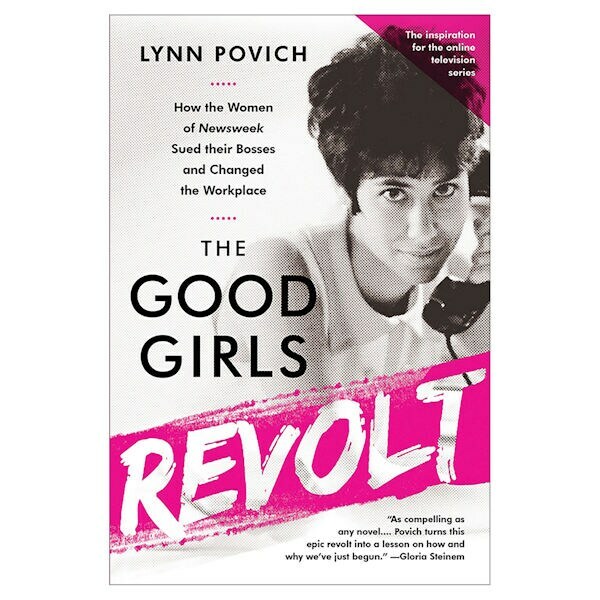 Journalist Lynn Povich was one of the original plaintiffs, and her account of life at the magazine before, during, and after the landmark case is a fascinating, often infuriating, glimpse behind the scenes…and a rousing portrait of those who stood up and fought for the rights of American women in the workplace. How inspiring!